Ever conscious of the need to respect your private life and protect the information that you provide to it, Sandton Office Removals complies with the legislation in effect with regard to the protection of private life and personal data. In order for you to be able to browse and communicate on our website with complete peace of mind, we have put in place a confidentiality charter. We reserve the right to amend this charter on the basis of changes to the Sandton Office Removals website or to the legislation in effect. The personal data collected is the data that you willingly provide when you fill in one of the online forms on the website, in order to request a quote for one of the services offered by Sandton Office Removals on our site, to get in touch with Sandton Office Removals or to give us your opinion as regards whether or not you are satisfied with the services offered. By default, Sandton Office Removals will not be able to provide the services offered on its site, and in particular to draw up the quotes requested and make contact with you when you have asked to do so, and respond to your reviews and comments. Sandton Office Removals can also collect information automatically by using cookies deposited on the device that you use (computer, tablet, mobile, smartphone) when you visit the site, as long as it has your consent to do so, and you can withdraw your consent at any time. Sandton Office Removals obtains your consent prior to depositing cookies. Your personal data will be received by the authorized staff from the client, marketing and/or commercial department of Sandton Office Removals and the authorized staff of the data processors used by Sandton Office Removals and needing to access the personal data in order to carry out their assignments, in particular IT service providers and technical service providers. In the event of a restructuring, Sandton Office Removals may legitimately transfer all the personal data to its beneficiary. Once the periods of time necessary in order to achieve the objectives for which it is processed are over, Sandton Office Removals undertakes to destroy your personal data or make it anonymous. Sandton Office Removals offers a free service for subscribing to updates and newsletters from Sandton Office Removals. Subscribers receive information about Sandton Office Removals, transport and international removals at regular intervals. Unless you give your advance and express consent, Sandton Office Removals undertakes not to use your personal data for the purposes of marketing, in particular for the sending of promotional messages, news, subscriptions to the newsletter, or any other operation related to the provision of information. The right to data portability enables you to receive personal data that concerns you and that you have provided to Sandton Office Removals, and to transmit it to another data controller, under the terms stipulated by the current legislation. You may withdraw your consent for the processing of your personal data by Sandton Office Removals at any time. Sandton Office Removals will make every effort to act on your requests within a reasonable period of time and, in any event, within the time-limits set by the regulations in effect. Sandton Office Removals will take all necessary precautions in order to verify the identity of the person making the request, before accessing, if need be, the person’s request, in order to prevent the risk of fraudulent requests. You also have the right to submit a claim to the CNIL and to file a claim against Sandton Office Removals in the competent courts if you believe that Sandton Office Removals has committed a breach of your rights with regard to personal data. If a breach is found to have occurred, you will be able to receive full and effective compensation for the damage you have suffered. Sandton Office Removals applies its best efforts by taking all appropriate measures to ensure the security and confidentiality of your personal data, to prevent them being damaged or distorted and to prevent unauthorized third parties from accessing it and misusing it. We specialise in office removals across South Africa including Johannesburg, Pretoria, Cape Town and Durban. 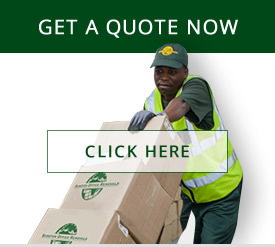 Largest office removals company in South Africa! Secure, 24hr surveillance storage solutions. We create high-quality, custom-designed packing material. Make your move with Sandton Office Removals, the most trusted South African office removals company.